Chipotle insists that it is not to blame for getting "Supergirl" actor Jeremy Jordan sick, but its stock price dipped anyway. Chipotle Mexican Grill (CMG)'s shares were down Monday morning, partly recovering from its initial 4% drop. It was the first day of trading since Jordan blamed Chipotle, via Instagram, for getting him sick last week, according to a report from People.com. But a Chipotle spokesman told CNNMoney that the company has investigated the situation and concluded that it did not cause his illness, which put the actor in the hospital. "We were sorry to hear Jeremy was sick and were able to get in touch with him directly regarding where and when he ate," said Chipotle spokesman Chris Arnold, in an email to CNNMoney. "There have been no other reported claims of illness at the restaurant where he dined. We take all claims seriously, but we can't confirm any link to Chipotle given the details he shared with us." Nick Setyan, analyst for Wedbush Securities, said that Jordan's Instagram post was definitely the cause tor the drop in stock price, even if the company wasn't actually to blame. "It is 100% the reason why it is down today," said Setyan, senior vice president of equity research, in an email to CNNMoney. "Unfortunately, Chipotle is exposed to these types of unsubstantiated claims for the foreseeable future." 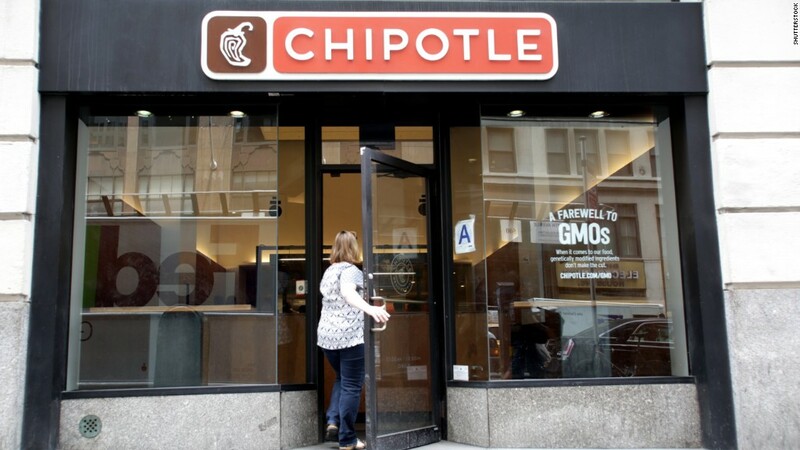 Since 2015, Chipotle restaurants in various locations around the country have been plagued by outbreaks of E. coli and norovirus, sickening hundreds of people. The most recent reports of illness happened in July at a restaurant in Sterling, Virginia. Rodents were also sighted at one of its Dallas restaurants earlier this year, and a video of the vermin went viral.. But the Mexican-style fast food chain said that sales and profits rose significantly its latest quarter, despite costly Hurricanes Irma and Harvey and April malware attack.